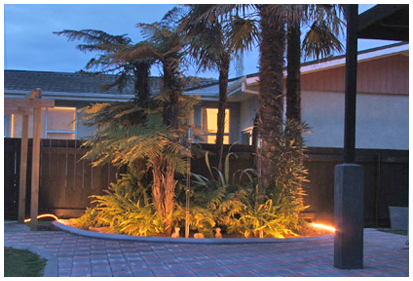 Lighting and irrigation can be installed into the face of the Angled Lighted kerbing profile. 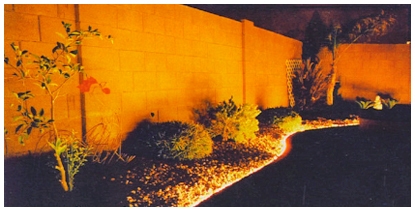 This can be used to light up garden beds, paths, walkways and much more. LED lighting is available in a variety of Colours to personalise your design. 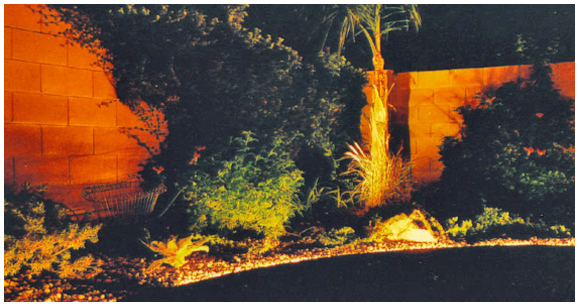 Alternatively, irrigation pipework can be installed into the Angle Lighted kerbing profile for garden irrigation.